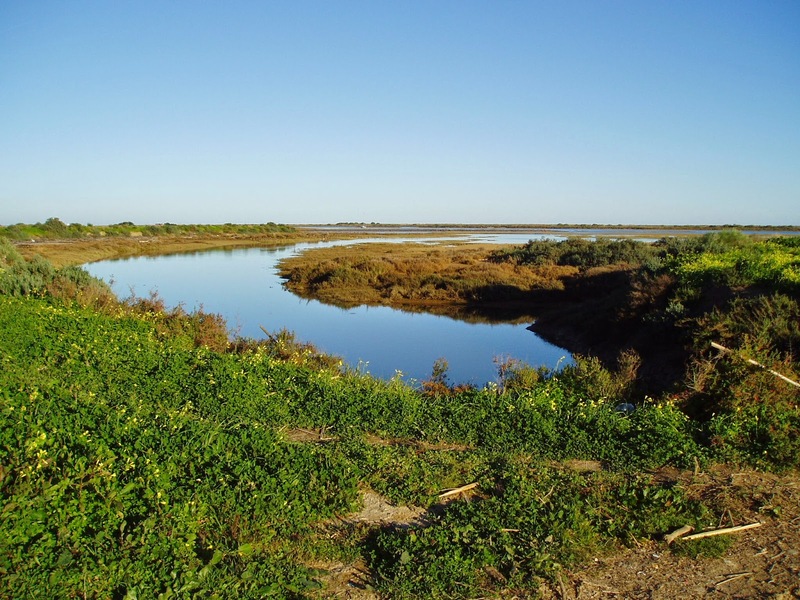 Tucked between the fishing town of Tavira and neighbouring Cabanas, at the eastern extremity of the Ria Formosa in Portugal’s Eastern Algarve, lies a narrow area of mixed salt marsh and salt pans, which is a haven for wintering waders and seabirds. The existence of a recent (2005) estate – ‘Urbanizacao’ of small and very reasonably priced terraced houses gave us the opportunity to spend a few of our remaining years not only in winter warmth and sun, but in close proximity to as good a birding patch as it is possible to find in Europe. 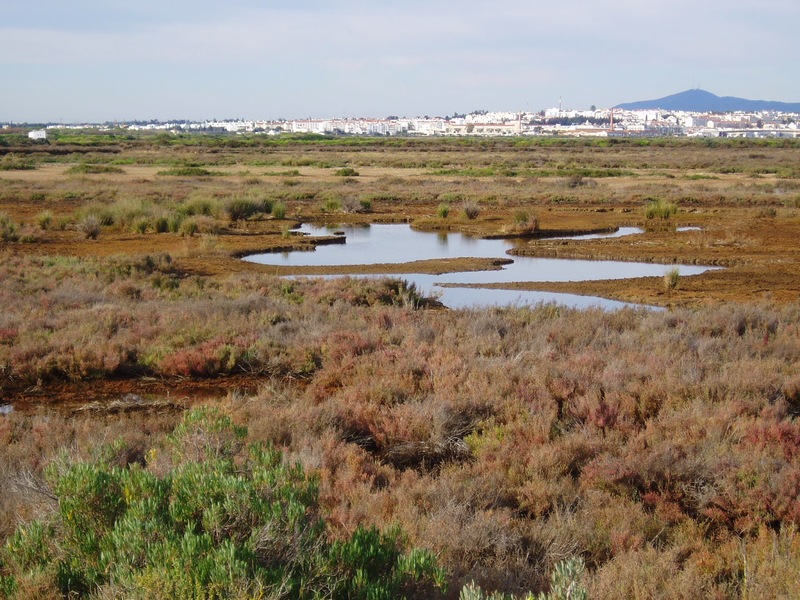 Marshland near Tavira, Portugal. Photo: Tony Bannister. 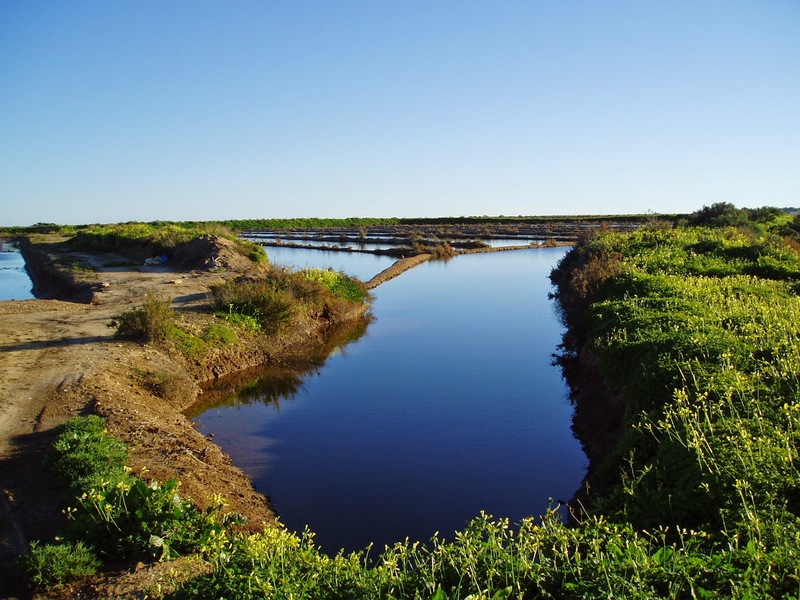 Most of the area is divided up into salt pans containing differing depths of salty or brackish water, or, since the site was damaged several years ago and is still being reconstructed for the manufacture of the famous Tavira ‘Flor de Sal’, basins filled alternately with rainwater and the mud which remains after evaporation. A perfect combination for the more than satisfying array both of wading birds and others who either pass through the area on migration or stay longer to rest or overwinter. 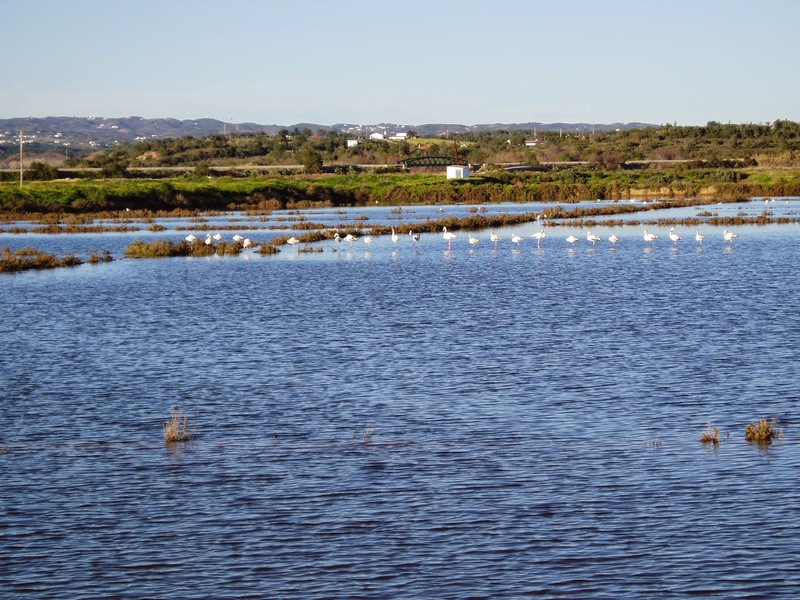 The Salinas, as they are called, are known to tourists principally for the permanent flocks of Greater Flamingo, which attract visitors looking for colourful and exotic holiday snaps to excite envy when they return. 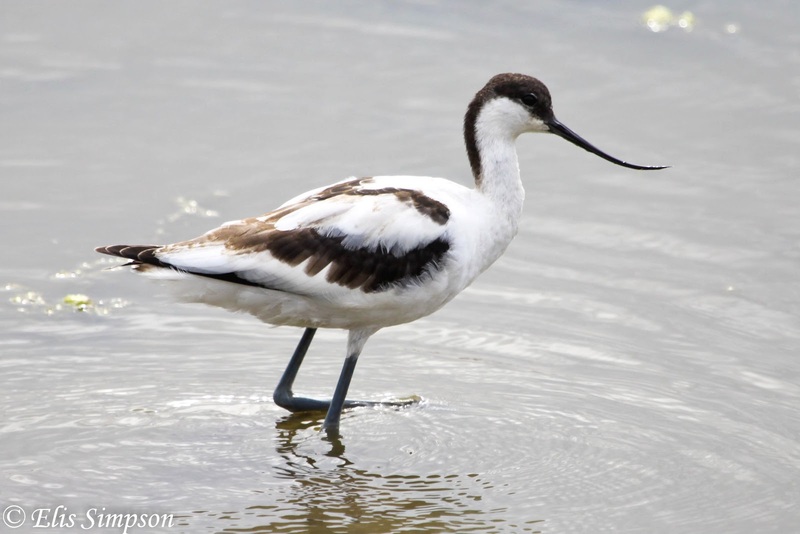 Some of these non-birding short term residents may notice at the same time the groups of Avocet and Black Winged Stilt present in the same lagoons. All three of these species favour the deeper basins, and whilst the Flamingo flock may sometimes number as many as eighty or ninety birds there are usually between thirty and forty each of the smaller species. The stilts, in varying sizes of smaller bands, also seem to remain extremely faithful to individual basins, whilst the Avocet are more subject to fluctuations in numbers and move around the salt pans more frequently, features which I noticed recently when checking on recorded numbers for the ‘eBird’ reporting tool at Cornell University. More easily overlooked by the less focused observer, are the hordes of smaller or less brightly plumaged birds feeding in the same area. Dunlin Calidris alpina are easily overlooked by those seeking the more gaudy residents. Photo: Tony Bannister. Present for the whole of the winter, at least from October to late March when we are in residence here, are Turnstone, which feed in shallow, stony basins during high tide, when the beaches and tidal banks are unavailable. Black-Tailed Godwit, again often in deeper water and in flocks of up to 150 birds. The dry, or nearly dry pools contain small groups of 2 or 3 Sanderling, Ringed Plover in much larger bands of as many as forty to fifty birds which frequently include 2 or 3 Kentish Plover, as well as groups of Dunlin which, although usually around fifteen to twenty strong, may occasionally appear in very large numbers. This latter characteristic is shared by Grey Plover, which are to be seen in inclement or stormy weather sheltering in large groups of more than thirty birds in vegetation or behind lee banks. Redshank are omnipresent and irritating for their habit of flying off noisily at the least disturbance and spooking other less nervous species like the Greenshank which are almost always solitary. Less dependable but still very frequent are Spoonbill, Curlew and Whimbrel, all of which can be found easily in other parts of the Ria Formosa Natural Park and all of which seem. in any case. 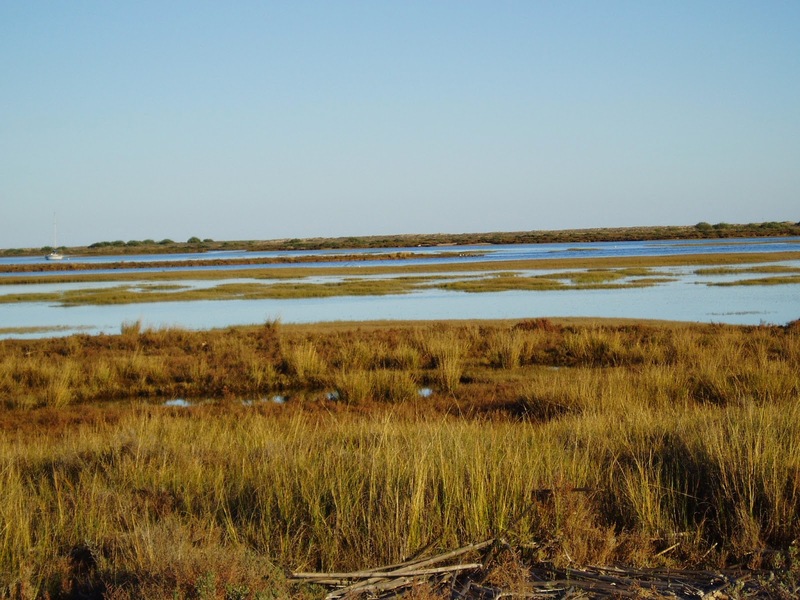 to share a predilection for the marshy tidal areas around the saltpans. Ria Formosa from the edge of the saltmarsh. Photo: Tony Bannister. Common Sandpiper are always present, again as solitary birds, and Green Sandpiper also put in a regular appearance as do Snipe, all three preferring muddy ditches or small pools surrounded by vegetation. In addition occasionally single Ruff have also been seen. The saltmarsh at half flood. Photo: Tony Bannister. 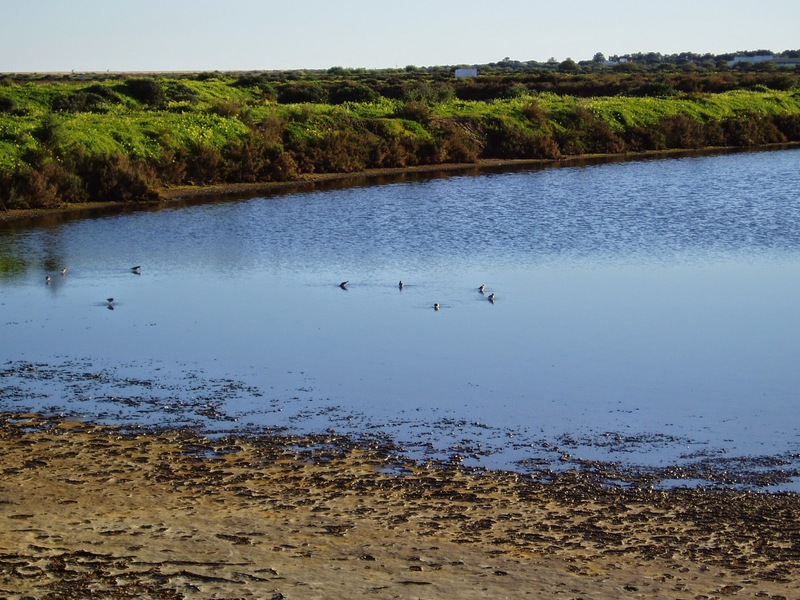 If you have a local patch where you enjoy watching waders, why not do as Tony has done and write about it as a guest blog to share it with others who may live nearby or be visiting. Just write an email to waderquest@gmail.com with the details.